Vancouver, British Columbia: Alliance Mining Corp. (TSX.V: ALM) (“Alliance” or the “Company”) is pleased to announce that it will be undertaking a geological mapping and sampling program followed by a drill program on its Packsack Gold property adjacent to Havilah Mining HMC:TSXV (a spin off from Hecla Mining HL:NYSE) in the Bissett, Manitoba Gold Camp. ◙ Alliance’s Packsack Gold Property is 4 kilometres from Havilah Mining’s Mill. Alliance intends to follow up on promising results from their March 2018, drilling on the Packsack zone of the Red Rice Lake gold project (see April 26 and June 14, 2018, news releases). Drill hole PK-18-4 intersected 21.2m grading 0.86 g/t Au, including 1.78 g/t over 8.7m in the Big Dome vein, all within a large altered mafic dike. These drilling results have caused a re-interpretation of the Packsack zone from a narrow vein target, to a wider, open-pittable zone encompassing the entire Packsack group of veins, including the Big Dome, Hargraves, Golden Stairway, Central Montcalm and South Montcalm veins, all within a mineralized sericite-alteration envelope. 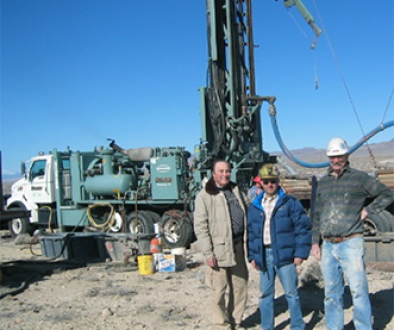 Alliance intends to undertake a program of geologic mapping and sampling during the fall of 2018, to better define the mineralization target within its host mafic dike, followed by a 1000m drill program in early 2019 to test the wider mineralized zone to a depth of 100m. The Packsack property hosts several gold-bearing veins within a conjugate fracture set adjacent to the Red Rice shear zone. Previous exploration on the Packsack zone has been focused on the Big Dome Vein, with a shaft to 525 ft (160 m) and 2867 ft (874 m) of drifting and crosscutting on 4 levels down to 500 ft (152 m), all completed between 1936 and 1940. The structural control on veining at the Packsack property is similar to that at the True North Mine, 4 km northeast, operated by Havilah Mining Corporation (HMC:TSX.V), a spin-off from Hecla Mining’s (HL:NYSE) takeover of Klondex Mines Ltd.
Alliance Mining has an option to acquire 100 per cent of the Red Rice Lake property located in the Bissett gold camp in Manitoba. 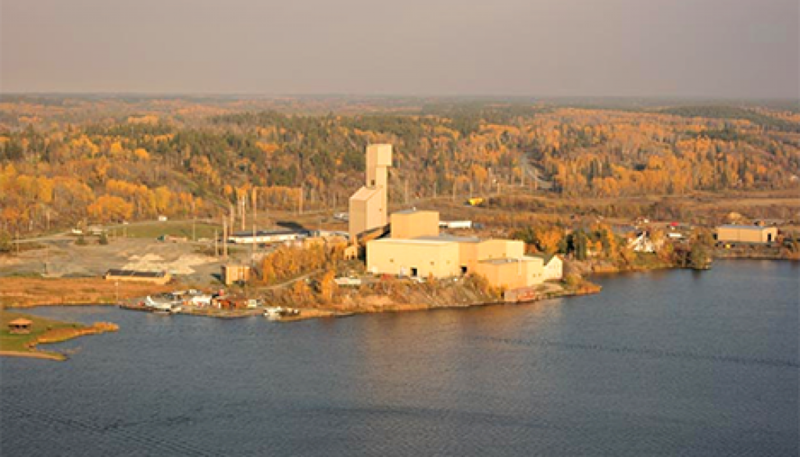 The property is located four kilometres southwest from Havilah Mining’s True North gold mine/mill complex at Bissett. Havilah Mining are presently reprocessing old tailings while they actively explore for additional ore sources in the belt. This presents an excellent opportunity for Alliance Mining to explore prospects within trucking distance of Havilah’s mill. Alliance’s Red Rice Lake gold property claims are located within the Archean Rice Lake greenstone belt in southeastern Manitoba. This belt forms part of the Uchi subprovince that includes the Red Lake and Pickle Lake belts in Northwestern Ontario. All technical information in this release has been reviewed and approved by William C. Hood, PGeo, who is the qualified person on the Red Rice Lake gold project for the company. Alliance has arranged a non-brokered private placement of 5 million flow-through units at a price of Cdn$0.05 per unit for gross proceeds of $250,000. Each flow-through unit consists of one common share that qualifies as a “flow-through share” as defined in subsection 66(15) of the Income Tax Act and one [non-]transferable common share purchase warrant. Each whole warrant will entitle the holder to purchase, for a period of 24 months from the date of issue, one additional non-flow-through common share of the Issuer at an exercise price of Cdn$0.05 per share. 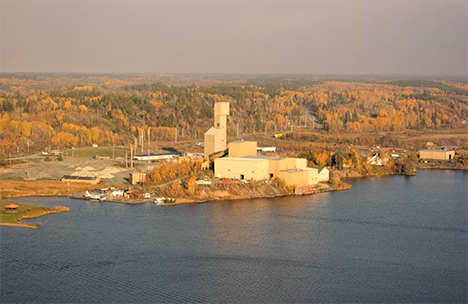 The proceeds of the private placement will be used for continued exploration work at the Company’s Red Rice Lake property located in the centre of the Bissett gold camp in Manitoba. Christopher R. Anderson, President, Ceo and Director.